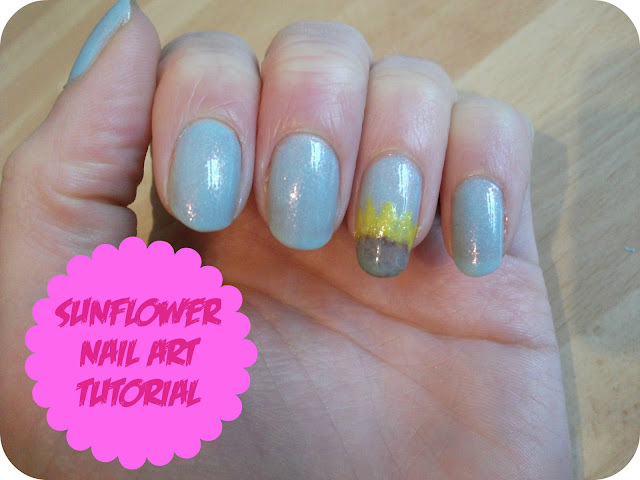 For my guest post, Jenni and I agreed I would do a nail art tutorial, and inspired by the almost Spring-like weather we’ve been having lately, I decided to go for sunflowers! This was actually really easy to do and didn’t take long at all. The hardest part was getting a colour for the centre of the sunflower as I didn’t have a shade I thought would look good, so I ended up mixing two shades to get the perfect one! You’ll need base and top coat, as well as a background colour, for which I used Sinful Colors ‘Cinderella’. You’ll also need brown (which I mixed from two Technic polishes), green (Models Own ‘Jade Stone’), and yellow (Missguided ‘Misslead’) nail polish. Finally, you’ll need a small nail art brush or paintbrush - mine was from a local craft shop and cost me about £1.20. 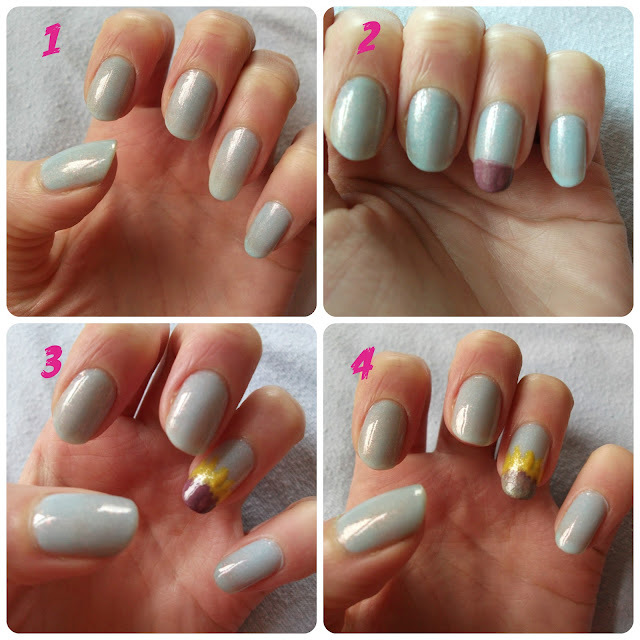 Paint all your nails with your base coat and the background colour. Using a brown nail polish and your nail art brush, carefully paint on a semi-circle to the tip of your nail, like a French tip. It doesn’t need to be neat as your petals will cover the edges. Clean the paintbrush by dipping in nail polish remover and wiping clean. Once this has dried, use your paintbrush to paint on the petals with your yellow polish – I found the best way to do this was placing the brush on and lifting off, along the edge of my brown semi-circle. Don’t clean your brush before the next step, which is using the brush to gently dab a pale green polish onto the centre of the sunflower, to imitate the seeds. Finally, top off with your top coat for a smooth, glossy finish! 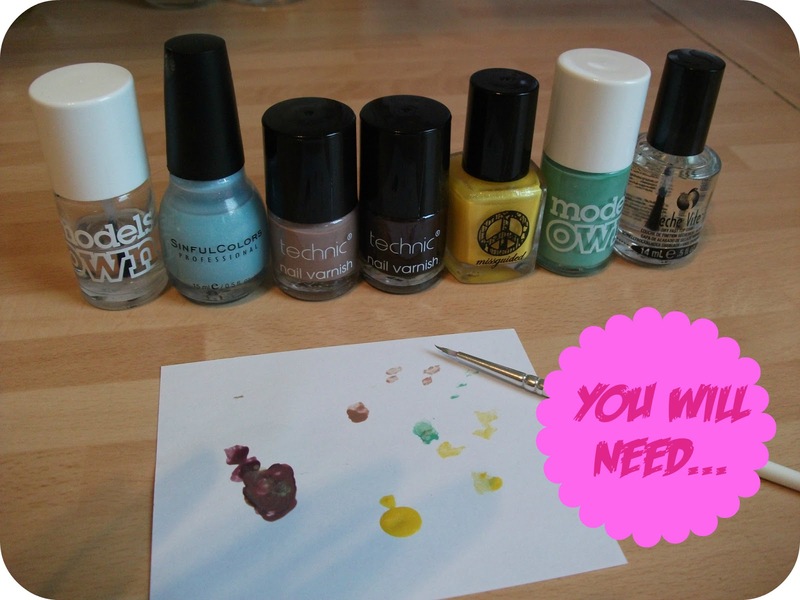 I hope you enjoyed this little nail art tutorial as much as I enjoyed putting it together. Thanks for reading, and thanks to Jenni for having me as a guest! 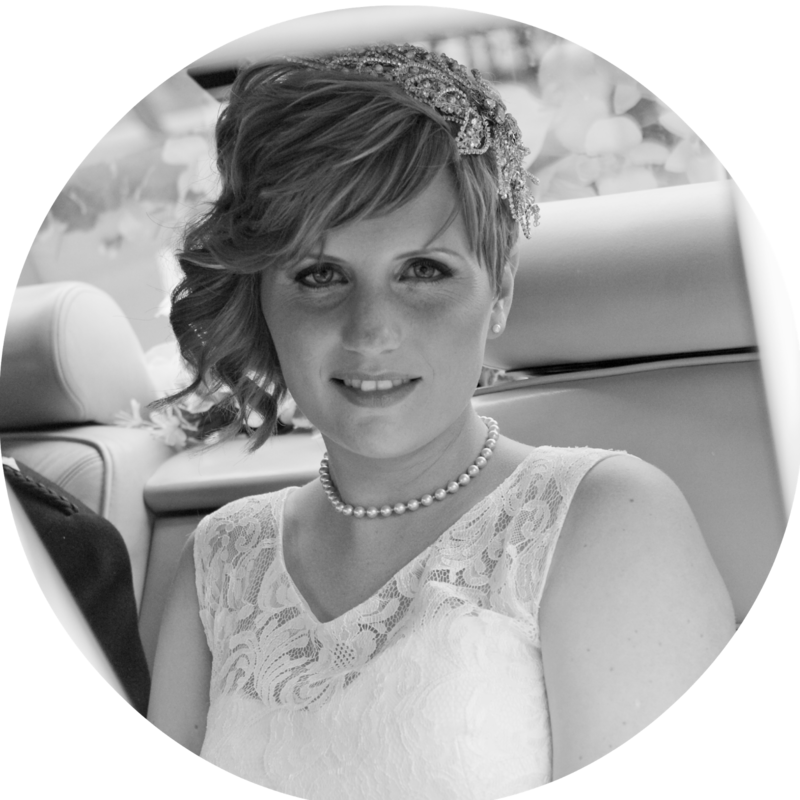 If you’d like to see more of my tutorials, check out my blog at http://just-jesss.blogspot.co.uk.